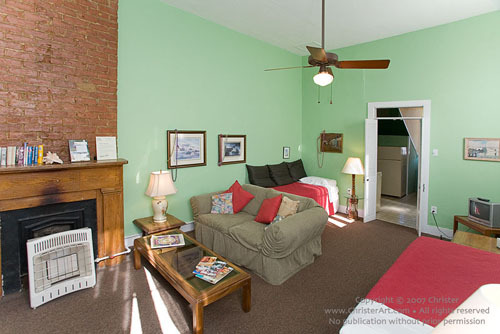 Suite 1-Saint Ann has two bedrooms, a large living room with original "brick between post" construction, hardwood floors, central A/C, and ceiling fans. This spacious apartment will sleep five people comfortably. It can also be combined with 4-Orleans and/or 5-Dumaine to accommodate really large reunions or events. 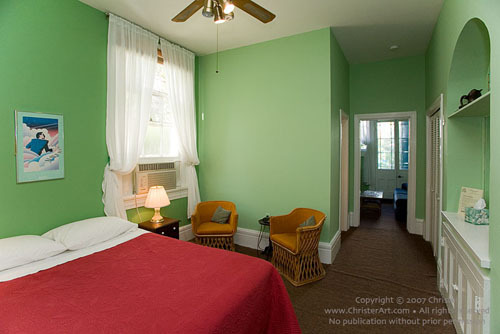 Suites 2-Saint Louis and 3-Toulouse are one-bedroom suites, reached from the courtyard from a private staircase. Each has a separate bedroom with a queen-sized bed; a large living room with single beds (made up as daybeds), high ceilings, and A/C; and a separate eat-in kitchen. Each will sleep up to four people. 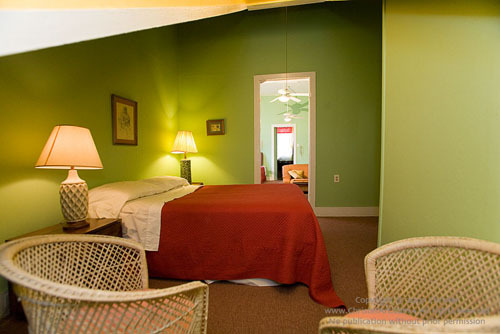 Suites 4-Orleans and 5-Dumaine are a step up from the tranquil courtyard. Each has a queen-sized bed, air-conditioning, and a small living area. 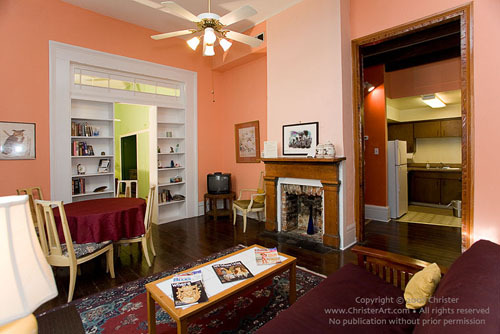 4-Orleans has a kitchen, 5-Dumaine a separate bedroom and a kitchenette. These are very comfortable for one or two people. 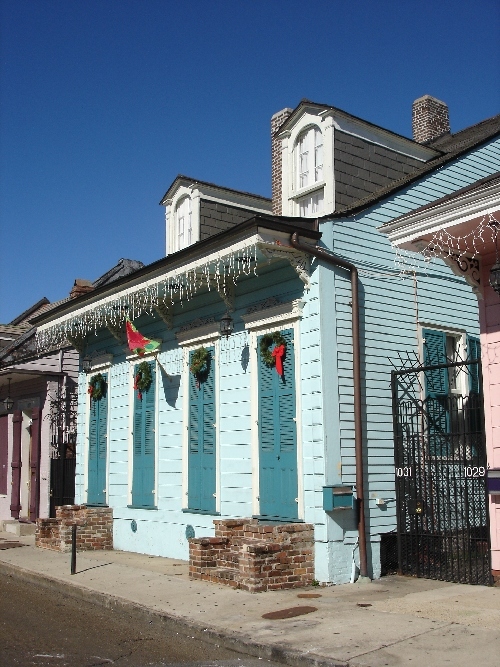 In the historic French Quarter, this 1820s Creole cottage exudes New Orleans history and old world charm. The serene tropical patio with trickling fountain offers soothing tranquility only short blocks from the antique shops and galleries of Royal Street, the teeming bustle of Bourbon Street, the Cathedral and Jackson Square, and New Orleans' finest restaurants. Hosts/innkeepers Charlotte and Brian Furness live on the premises and are happy to help with reservations, information on restaurants, music clubs, festivals, and all the exciting things to do in the beautiful Crescent City. On-site activities include relaxing in Gentry House's tranquil courtyard...after a day of exploring the French Quarter's museums, art galleries, acquarium, and shopping...or before embarking on an evening of great restaurants, nearby jazz clubs, or Bourbon Street's world famous excitment. - Sinfully fresh croissants delivered hot and flaky to your door each morning.